Show us your best hug! The CHU Sainte-Justine Foundation, in collaboration with Rythme, Jean Coutu and Clarins, is delighted to invite young artists aged 5 to 12 from across Quebec to open their heart and share their talent during the sixth annual Dessine-moi un câlin contest. Every year, more than 1,000 young artists from across the province send a virtual hug of support to the young patients of Sainte-Justine and their families by taking part in the drawing contest associated with the Mois des Câlins de Sainte-Justine campaign. 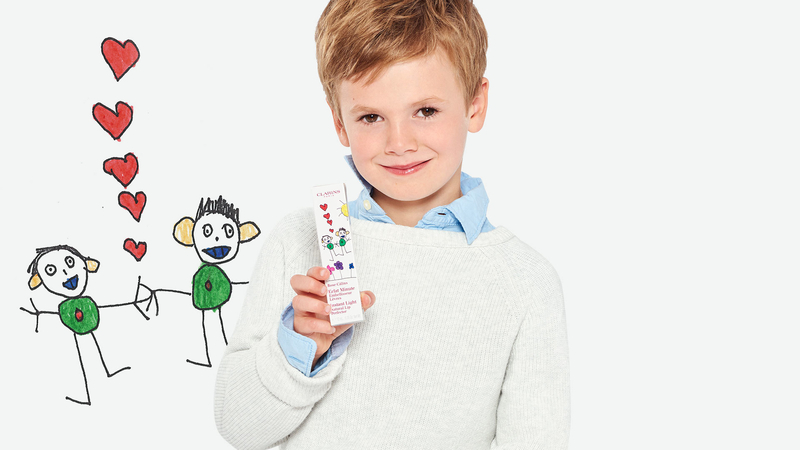 How would your child like to see their artwork featured on 30,000 boxes of Clarins “Rose Câlins” Lip Perfector, sold in Jean Coutu stores across Quebec – in addition to receiving a $1,000 gift card for a book and toy store (or the equivalent)? See full contest rules [in French only] for details on how to enter. Hurry! Entry deadline is February 15, 2019.